The sequel to the 2006 Human Head shooter is no longer listed on Bethesda's website. Prey was a better game than it's often given credit for. It wasn't a revolutionary shooter, but it was solid, the adjustable gravity mechanic was pretty groovy and a couple of its set pieces were truly memorable. It was a lot of fun, and despite the not-quite-overwhelming reception it was more than deserving of the sequel that was originally confirmed more than a year ago. Alas, the ride has not been entirely smooth since then. In April, a report emerged that Human Head had stopped working on the game because of a contract dispute with Bethesda, followed immediately by the announcement of an indefinite delay. And now, after a major revamp of Bethesda's website, Prey 2 is no longer listed at all among the company's games, current or forthcoming. Everything from Doom 2 to The Elder Scrolls Online is up there, but no Prey 2. According to a Bethesda rep, however, we shouldn't read too much into it. "Since we had already announced it wasn't coming out this year and we don't have anything new to say on the game at this time, we simply didn't think it'd be appropriate to include it on the new site launch," the rep told IGN. "We chose instead to focus on the upcoming titles we are talking about." That's an interesting spin, and while I don't want to speak out of turn and say that I'm not buying it, I'm not buying it. "Nothing new to say" is one but, but hiding the very existence of a game that's been announced and is being actively developed is something that no rational game company would do. 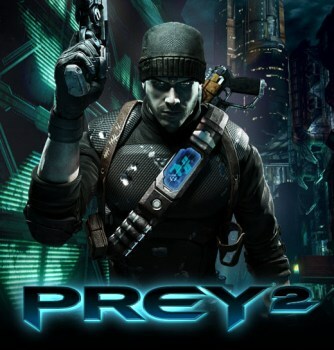 I hope that Prey 2 comes to life someday, and that it's every bit as cool as the 2011 E3 trailer made it appear. But I'm not holding my breath.